WHY IT RATES: Ovolo Central is just a stone's throw away from Hong Kong's most famous landmarks, including Soho, Tai Kwun Centre for Heritage and Arts, the city's iconic escalators, and Hollywood Road's antique stores and art galleries.—Mia Taylor, TravelPulse Senior Writer. 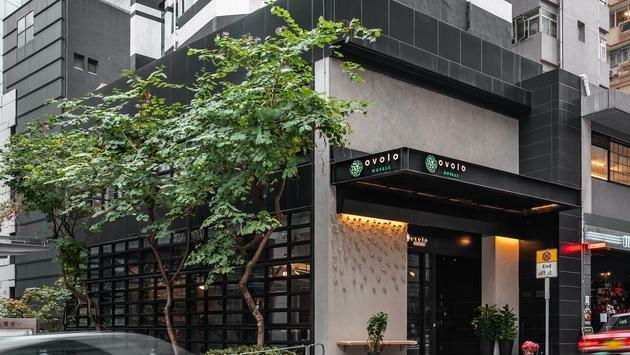 Ovolo Central, the flagship property in the heart of Hong Kong from the cutting-edge Ovolo Hotels collection, has undergone a massive reinvention and reopened with a brand-new façade, entrances, public spaces, rooms, suites, and restaurant. Ovolo Central's new facade is a delicate, glazed black metal grid that increases natural daylight and ventilation to the interiors. The hotel also now boasts four new entrances, with a lobby seating area that showcases a modern fireplace alongside Ovolo's signature globe light and stainless steel "egg wall." The ground floor and lower floor are connected by a linear staircase, allowing additional daylight to filter in, inviting people to move easily between levels. Another highlight is the first-floor state-of-the-art meeting room, which also connects onto a spacious balcony, with a carefully curated art collection by the Hong Kong-based MAKE design group throughout the space. Boasting 41 spacious rooms, each with its own edgy, rock-n-roll vibe and unique commissioned artworks, Ovolo Central features custom-made artworks, luxurious fabrics and design accents riffing on the city's East-meets-West heritage. The hotel's new Platinum rooms, designed by Monique McIintock Interiors, showcase exposed windows, sleek TV displays, and edgy drinks cabinets, plus a generous range of standard stay inclusions - from free super-speed Wi-Fi, Happy Hour drinks and in-room Nespresso machines, to free laundry, gym access and an in-room Amazon Alexa. Most noteworthy is Ovolo Central's Radio Suite, designed by award-winning firm ALT-254, which, at 700 square feet, spans the entire top floor of the hotel with unbeatable views out over Hong Kong. The revamped boutique designer hotel also houses a new restaurant, VEDA, Hong Kong's first vegetarian hotel restaurant in a space designed by MALE and KplusK Associates. 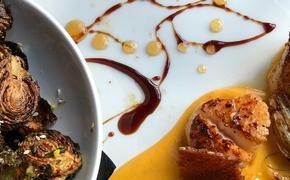 Spearheaded by celebrated vegetarian chef Hetty McKinnon, VEDA offers an array of signature plant-based dishes, including Nepalese Ricotta and Spinach Momos with Smoked Chili and Tomato Achaar; Soba Noodle Salad with Ginger and Shallot Dressing; and Baked Aloo Gobi, a roasted whole or half cauliflower served with crispy potatoes and curry sauce. Served alongside the menu are an extensive list of Australian wines and an innovative cocktail menu. Just a stone's throw away from Hong Kong's most famous landmarks, including Soho, Tai Kwun Centre for Heritage and Arts, the city's iconic escalators, and Hollywood Road's antique stores and art galleries, Ovolo Central is at the heart of the action, with unbeatable proximity to Hong Kong's lively bars and renowned restaurants. "Ovolo Central was my very first hotel, and what we've created here is a 'New Sensation' right in the epicenter of Hong Hong," says Girish Jhunjhnuwala, Founder & CEO of Ovolo Hotels Group. "An exciting new look and feel that is bursting with Ovolo personality. So our shiny, happy guests not only get to experience cool art, original designs, great music, and our fantastic new vegetarian restaurant VEDA, they get it all in an unmatched location."